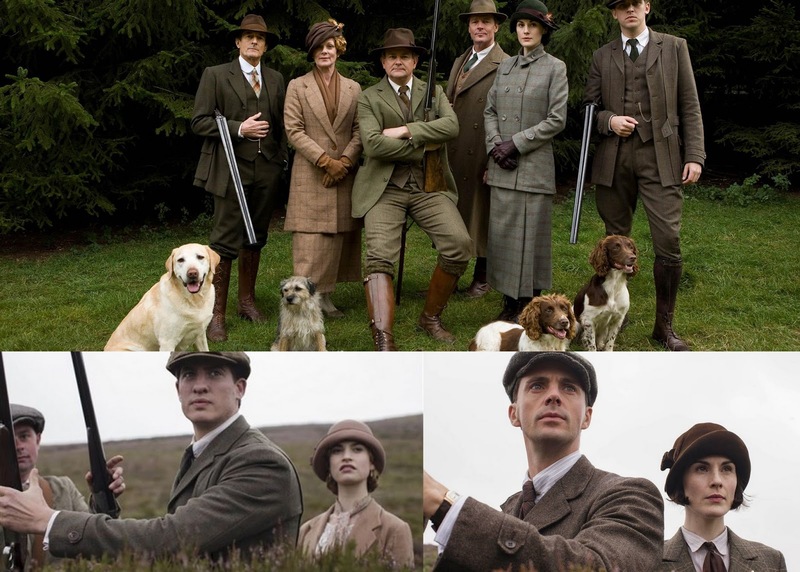 As I thought about the seemingly endless rules to which all the beloved characters of Downton Abbey are subject, I quickly realized I’d need more than one blog post to discuss them in a hopefully helpful manner. In the previous post on this topic, I gave some thoughts on how social status, good standing with peers, and proper behavior were all of paramount importance in early 20th century England. Related, but somewhat different, were the daily rituals. If you’ve seen any of Downton, it’s pretty obvious that there is a specific routine for everything. Every detail is structured for the family and servants down to what piece of silverware a specific person uses for a specific type of food. I certainly can’t exhaust this aspect, but here are highlights of what I’ve picked up on from some careful reading and watching. If Downton is known for anything, it might be the exquisite costumes. Clothes for the aristocracy were intricately tied to different activities, which meant a lot of them. Women changed clothes up to six or seven times a day, and while men didn’t change quite as often, it was still multiple times. They had different clothes for every kind of meal, walk, and outing. Hats also were specific to each outfit and occasion. Just try to count how many different hats any character, man or woman, wears in one episode. I smile slightly when Lord Grantham, as he’s about to leave for America, complains that Americans have “a certain costume for practically every activity known to man.” As if he has room to talk. Upon awakening, each family member would ring for their attendant and they would get dressed for the morning. This consisted of breakfast (note: married women had breakfast in bed; notice Cora always does, and so does Mary after she’s married), perhaps a walk, writing letters, and visiting a friend or two. Men habitually had business to oversee, and women often paid respects to various charities and, somewhat ironically, were always picking and ordering new clothes. Between these activities, a change or two would happen, especially for ladies. Certainly before luncheon, the light midday meal, a lady would change once or twice. Later in the day, women often went riding, which Lady Mary demonstrates frequently in Downton. This meant another wardrobe change, as riding habits were sophisticated ensembles and there were multiple ones. Mary wears an elegant, rather stiff, black habit when she rides out with a hunting group, but a lighter, softer one when she goes alone or with a friend. Then the onset of evening meant teatime, which would require another change. Tea was an essential component of the day used for mixing with friends and meeting new people, as families would often go to others’ houses for tea or entertain guests for it. Tea was a full meal too, not just a few sips of tea with a biscuit, as we may think now. It was an early evening meal before the big dinner, which was served much later than we would now assume. 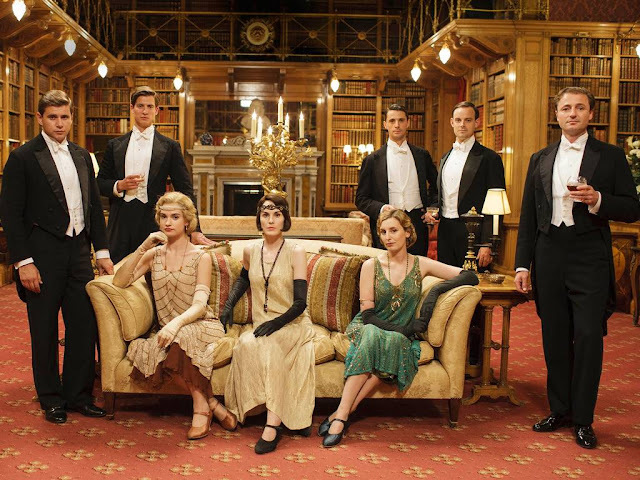 In Downton, the characters usually tell their friends to come around eight to mingle in the drawing room for a bit before dinner is served. 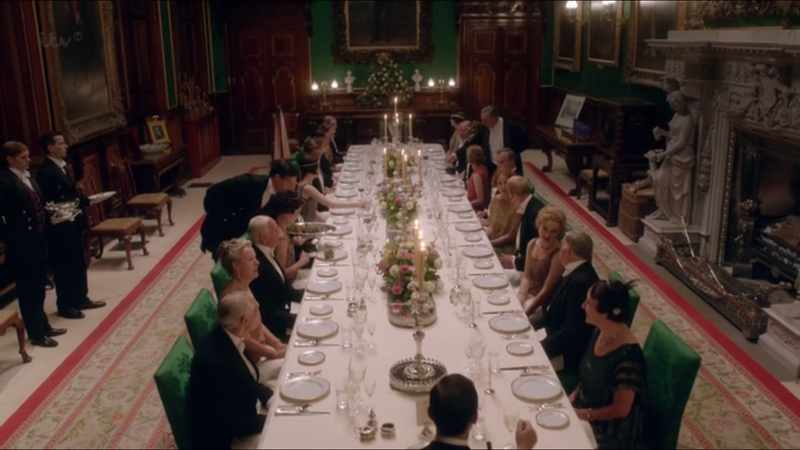 This scene in the season 5 finale boasts probably one of the grandest dinners of any season. For an autumn holiday, the Crawleys join Lady Rose's new in-laws at Brancaster Castle in Northumberland. And of course, those dinners were elaborate affairs, and “dressing for dinner” was quite the production. The evening gowns are obviously the most beautiful in the show, and the men wore tuxedos with full-out coattails and white bowties. These outfits were detailed and planned for each day. Even small aspects, like hairpieces for women, had reason behind them. If you watch, you’ll see that only married women wear tiaras at dinners or balls. And in a way, these garments represent the stiff upper lip that characterized the British aristocracy at the time. We laugh now at how the family members have a servant to practically dress them like dolls, but the clothes were legitimately difficult to put on. They needed help to lace up corsets, tie all the ribbons, and fasten those hard-ironed shirts. Those clothes forced the wearers to stand straight, hold their heads high, and carry themselves with the dignity for which they were known. Not only did dinners require lavish dress, but they also were productions in themselves, and the degree of splendor varied depending on whether only the family was there or if they were entertaining guests. It’s easy to see in Downton that the table is elegantly laid and there is specific timing and technique for every part of the meal. 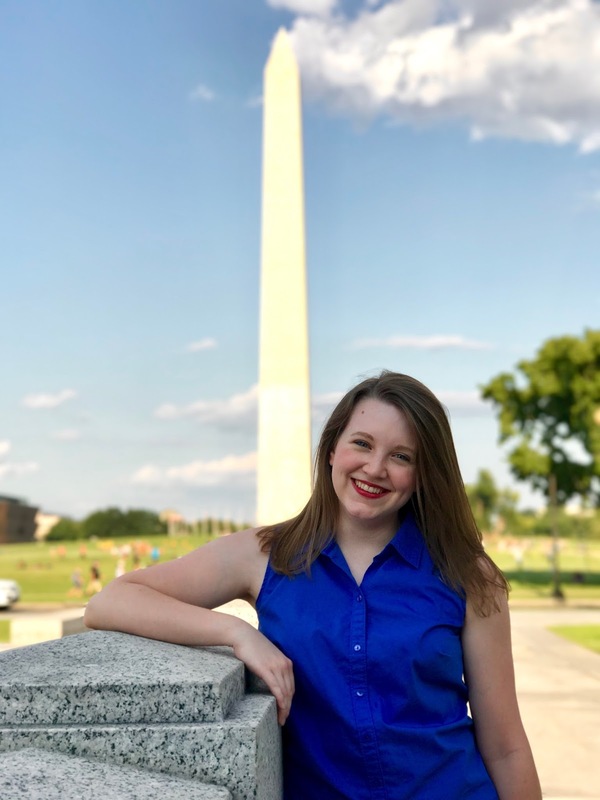 You often see Carson or the footmen measuring with a ruler to determine where to place the dishes and how far from the table to move the chairs before the family arrives. Precision galore. You’ll also probably notice that each person has four to five different forks, spoons, and glasses at their place setting, and each is for something specific. For example, one glass would always have water in it, and the others were for a different wine or beverage particular to the course. Remember when Anna explains the wines for each course to poor Mr. Molesley? That was the real deal. The way everything was served was also exact, clear in how Carson nearly faints at the idea of a maid serving in the dining room. What’s more, Alfred and Jimmy always fight over who carries what and are anxious to do it right. Take note: during dinner scenes, if everything’s going well, the footmen always lean down in unison when lowering the serving dishes for the family. Even the conversation at the table was controlled, led by the lady of the house. As she talked to the person on her right, everyone else would also talk to the person on their right; when she “turned” to the person on the other side, everyone would follow suit. And after dinner, the hostess would take the ladies to the drawing room for chat and coffee while the men would have drinks and smoke cigars in the dining room. These sessions are where many significant conversations for Robert happen in the show. Afterwards, the men would join the women in the drawing room and coffee, conversation, and games would last several hours into the night. It’s a wonder to me that people weren’t always either dog tired or massively overweight… they’re just always eating and always go to bed after midnight, it seems. The servants are certainly up that late regularly. Posed, but I'm a fan of this high-fashion drawing room group shot. Plus, this was one of my favorite episodes from this past season 5. And speaking of servants, let’s chat about them. Oh, the drama that goes on downstairs. 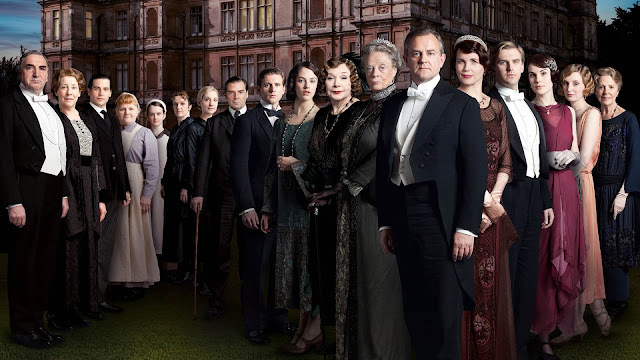 So, when you watch Downton, there are around 10-12 servants that you “know” well, but there are always extras scurrying around, whether it’s housemaids, kitchen girls, or hall boys. Plus, there are others of whom we only hear in passing, like the gardener and others who work on the grounds or in wings of the house that are never seen. So, obviously, there are a lot of servants. Not to mention the countless farmers on Lord Grantham’s estate who were dependent on the land for their own livelihood. It’s hard for us to imagine now, but this was how Great Britain worked. In reality, a house like Downton Abbey would have employed about 50 people or more, not counting the estate farmers. It’s easy for us to think the family is a bunch of uppity, rich snobs because so many people are constantly waiting on them, but if you step into their historical shoes, it makes sense. They needed that many people just to keep the place running, and those servants relied on the house and estate to earn their own livings. And let’s be real – if I had that many rooms to dust and that many lawns to keep cut, I’d likely want a few maids and gardeners to help out too, thank you very much. 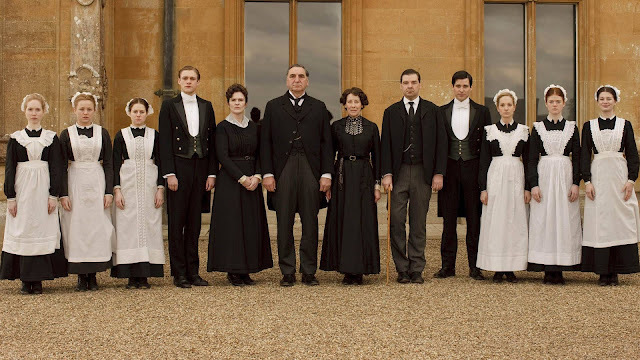 And to continue the themes of precision and routine, Downton superbly demonstrates the specific chain of command and rank within the servants as well as the family. Mr. Carson runs everything with rigid propriety as butler, the no-nonsense housekeeper Mrs. Hughes isn’t far behind him, and Mrs. Patmore also holds an important position of authority as the cook. As you can probably tell, everyone ultimately answers to Mr. Carson, but each of these three has different servants under their individual command. Carson heads the valets, footmen, hall boys, and other male servants, and Mrs. Hughes manages the lady’s maids and housemaids. Mrs. Patmore has kitchen maids, and Daisy becomes her assistant cook. And within the under-servants, valets and lady’s maids ranked higher than housemaids and footmen, and kitchen staff was lowest of all. You know how Thomas is always whining about not wanting to be a footman? And then always reminds people that he’s called “Mr. Barrow” after he becomes a valet and then under-butler? It was because valets were higher up the working ladder of the day, as were lady’s maids, so they were addressed formally, like Carson and Mrs. Hughes and Mrs. Patmore are. Valets and lady’s maids, as demonstrated through Mr. Bates, Anna, Miss Baxter, Miss O’Brien, and Thomas, operated as a sort of personal attendant to particular family members, hence the close relationships (or wheedling of information) you see between these servants and the family members they serve. Also note that only married women had a lady’s maid. Remember how Carson and Mary both want Anna to transition into the position of lady’s maid for Mary after Mary and Matthew are married? Tradition, tradition. But valet or lady’s maid was an honorable and trusted position, so it was taken seriously and other servants respected it. After serving as a valet or lady’s maid for a time, the servant was considered officially “trained,” and would likely become butler or housekeeper later, as servants in a great house like Downton would almost certainly remain in service there for life. Mrs. Hughes comments in season 1 that she started as a housemaid, and that was typical for a housekeeper. Working your way up was the way of things. Anna assisting Mary with hair and toilette before dinner. Mary was unmarried at this point, so Anna was not a proper lady's maid to her yet, but unmarried young ladies would usually have a high-ranking housemaid to attend them. But among the lower ranks, housemaids cleaned, mended, and kept out of sight for the most part, and the footmen were the “peacocks” of the house. In other words, they always had to look and behave their best because they represented the family to outsiders by answering the door, serving tea, greeting guests, serving refreshment at large parties, etc. That’s why Carson complains about Alfred being too tall for a footman and why Mary tells Carson to hire Jimmy because he’s the more handsome candidate. It sounds pretty silly now, but a footman’s looks, as well as his skills, were important to giving guests a good impression of the family. These topics could seriously go on forever, there were so many details involved in these people’s lives. The next time you’re watching Downton, pay attention to what routines are going on and what’s expected of a particular servant. I’m constantly learning new things as I watch, and it’s seriously fascinating, not to mention mind-boggling that all of this was effortless and normal for people at that time. If you want to learn more specifics on this kind of thing, check out a PBS feature called The Manners of Downton Abbey that was hosted by the show’s historical adviser, Alastair Bruce. You can find it here on Amazon. Alastair Bruce is a charming guide and a walking encyclopedia of everything British history. He’ll give you insight into Downton that you didn’t even know existed, and you’ll hear from several of the principal actors about how they learned the many ropes of life in a British manor house. It was a definite nerd-out time for me! Thought these would be fun to leave you with, and because I like the hunting party sequences. These were another fun tradition. Everyone would dress up in their heavy tweed and traipse around the estate grounds, usually hunting birds. The men would do the shooting as their loaders replenished their ammunition, and the women would "chum" a different guy for each round to offer support and light chatter, as you see Rose and Mary demonstrating here.